SD Association (SDA), a non-profit organization responsible for setting SD card standards, has announced the latest iteration of SD cards at MWC (Mobile World Congress) Shanghai on 26th June. The new type of category called SD Ultra-Capacity (SDUC) also known as SD Express, adds PCI Express and NVMe interfaces to current SD cards to offer high bandwidth and low latency storage. It aims to provide a staggering 985MB/s transfer speed, which is three times faster than today’s best-performing SD cards and 30x faster than what’s required to record 4K video. It also comes with a maximum storage size of a whopping 128TB, which is significantly higher compared to the earlier 2TB limit. The new SD Express format will be initially found in SDUC (128TB), SDXC (2TB), and SDHC (32GB) memory cards, and will be available in SD and microSD sizes. Both the new standards will be added to the new SD 7.0 specification and these will be backward compatible with other devices, just like every other SD Card. 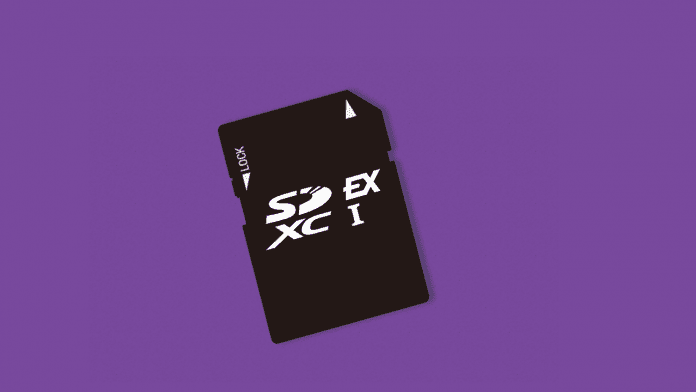 SD Express cards can be used in UHS-I, UHS-II, UHS-III and SD Express host devices, but faster performance levels will only be achieved when matching the card to the host device, SDA said. Since the progress towards a 2TB card was slow, it’s difficult to say how long it will take for the ultra-high 128TB card to actually hit the market. Check out the video below released by the SD Association to more about SD Express. Are you even remotely serious? The standard allows up to 128 TB, but there will be no 128 TB possible anytime soon, it is physically impossible. Size does matter. Looks like you have a mistake in your article. There are totally two separate items announced by SD Association last week. 1) SD Express card that includes the added high speed PCIe/NVMe interface (like SSD has) in addition to the standard SD interface. 2) SD Ultra Capacity Carr (SDUC) – a new range of capacity cards from 2TB up to 128TB. The SD Express may be from any of the following capacity ranges SDHC, SDXC or SDUC.